Apply Lubriplate to the inner retainer and reinstall. To complete the correction, apply Lubriplate sparingly to the shoe ledges and to the ends of the brake shoe return spring. 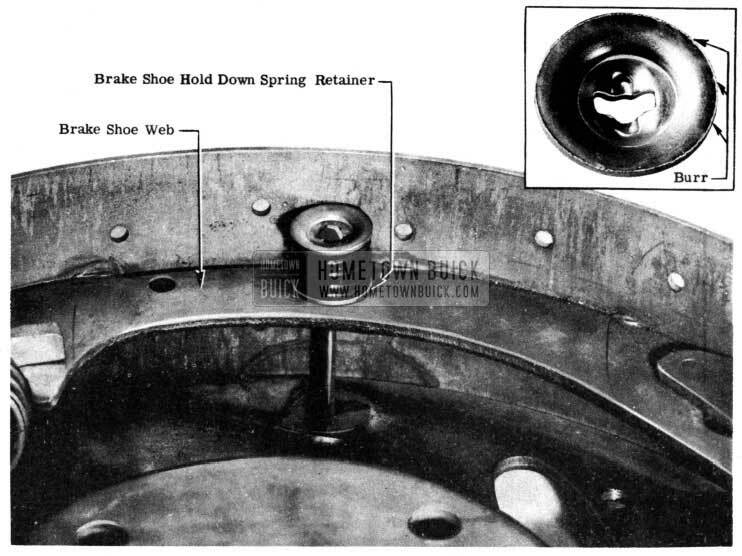 Adjust 1950 Buick brake shoe clearance as required. It has been brought to our attention that some dealers are attempting to make 1950 Buick brake line repairs with copper tubing. We wish to emphasize that copper is subject to failure in this application and should not be used under any circumstances. 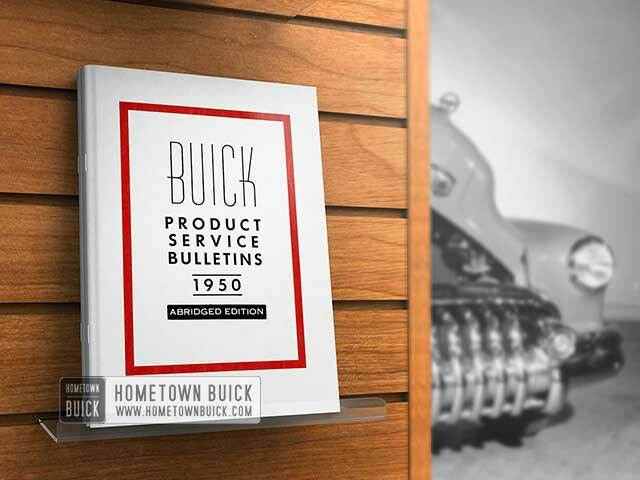 In the future all 1950 Buick brake line replacements must be made with factory parts specifically intended for that purpose.